This may be good tidings for those wishing to keep an extra eye out without too much exertion. 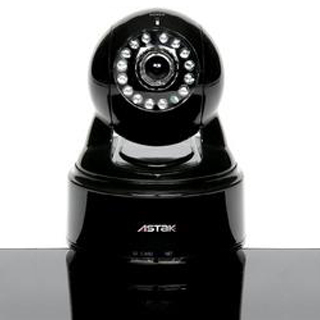 Astak has created a standalone internet camera called the Mole that is remotely controllable and easy to set up. The camera is useful for keeping a watch over businesses, homes, pets or even kids from remote locations. This video surveillance gadget is operable without PC support and does not require special customer software for viewing. The Mole can be accessed from any web browser and footage viewed in real-time. It enables users to access video captures privately instead of over a network. Video content can be uploaded onto YouTube automatically. Owners may opt for live e-mail or Twitter alerts on devices with internet connectivity as also mobile phones. The Mole is easy to set up with the integrated auto-configuration software. It boasts of Ethernet as well as Wi-Fi connectivity. The viewing angle can be changed by remotely controlling the device. Videos can be watched from any capable device including an iPhone. Other properties comprise of motion detection activation, two-way audio, night-vision and embedded DVR. The Mole will be available at Fry’s Electronics, Costco, Amazon.com and other Astak distributors by November, 2009. The device is tagged at $299.99.